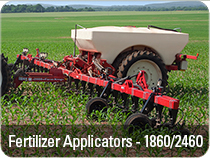 Each Farm King fertilizer applicator is perfectly tuned to deliver top-notch performance and dependability. The custom solution tank features a deep box sump, 16″ fill well, and 3″ cam lever quick fill. 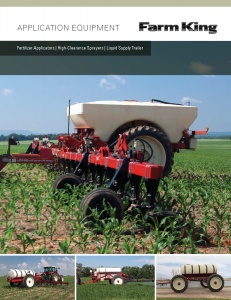 Each Farm King fertilizer applicator is perfectly tuned to deliver top-notch performance and dependability. 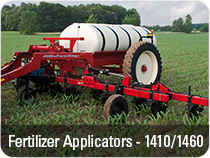 The heavy-duty 5 x 7 double frame features adjustable hydraulic down pressure and four (4) gauge wheels to provide an unsurpassed, ground contour following, liquid fertilizer application.